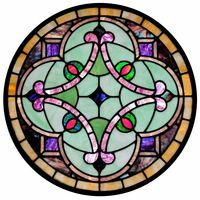 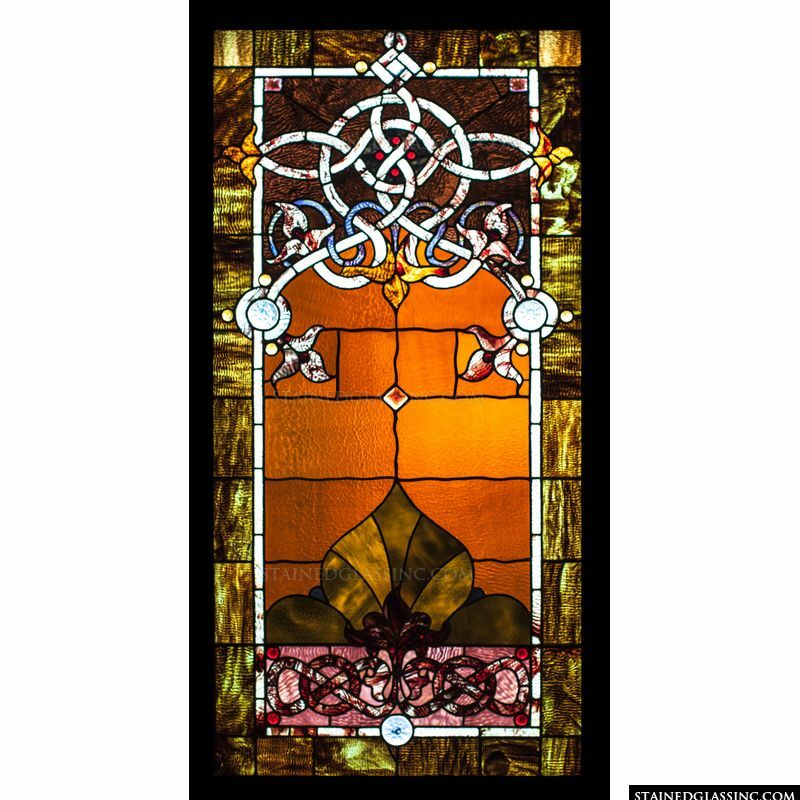 This interesting stained glass panel shows a design of intricate Celtic knot work at the top, interspersed with fleur-de lis. 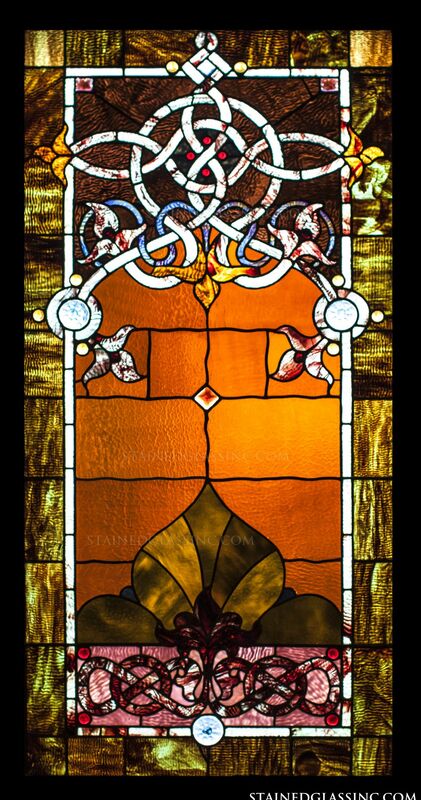 The central background gives the impression of a glowing orange brick wall, with an olive green marblesque frame. 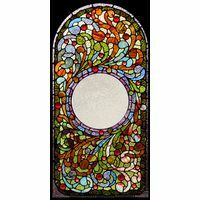 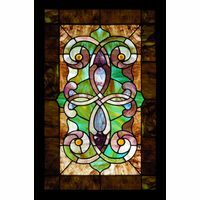 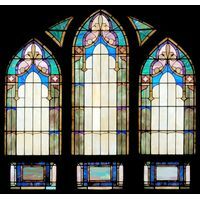 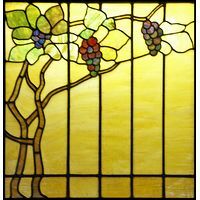 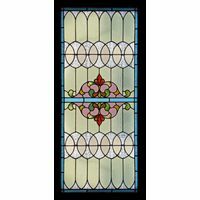 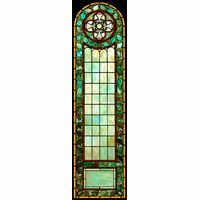 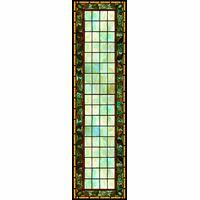 This warm and attractive art piece has been meticulously created by Stained Glass Inc. and is sure to be a conversation starter wherever it is placed.